MANHATTAN, Kan. – Outreach, innovation and service would be hallmarks of the five Kansas initiatives which are to be recognized by Kansas State University’s Huck Boyd National Institute for Rural Development as Leaders of the Year for 2015. The winners will receive their awards at a luncheon in Manhattan on April 28, 2015. Technology in agriculture is changing rapidly. Agricultural entrepreneurs Matt and Josh Wolters and Blaine Ginther saw an opportunity to develop customized equipment for application of crop inputs. They launched their company on a farm north of their hometown of Atwood. Surefire Ag Systems can attach to existing equipment such as planters so as to also be able to apply crop nutrients and pest controls. Surefire’s Quickdraw system is an automated, electronically controlled spray tender system which automates batch mixing of crop inputs. Farm Industry News identified the Quickdraw as one of the top five Game Changers of 2015. The company now employs 35 people and has sold products to 47 states, six Canadian provinces and beyond. For more information, see Surefire Ag Systems. Ward Morgan, an Oberlin native, is founder and CEO of the Manhattan-based software company CivicPlus. CivicPlus creates and hosts websites for 1,700 city and county governments across the nation. The company has won more than 250 website awards for its clients. CivicPlus employs 200 and recently built a five story, $11 million office building in downtown Manhattan. Morgan has invested in other initiatives to revitalize the downtown part of the city. For more information, see CivicPlus. Associated Youth Services serves disadvantaged youth across Kansas, with a residential center for temporary housing in Kansas City plus offices in Hutchinson and Garden City. AYS provides services such as community health, drug and alcohol treatment, GED preparation, residential care, and foster care. When Dennis Vanderpool became CEO in 1998, AYS served 300-400 children per year. Now, AYS serves 4,000-5,000 children per year. For more information, see Associated Youth Services. Sherrie Conklin and her family live at Burden. One day while doing her Christmas baking, she found that she was out of powdered sugar – and her home is 25 miles from stores in Winfield and 55 miles from Wichita. In order to provide local access to needed supplies, she and her husband created a new, locally-owned grocery store called Forgotten Item Market. In addition to groceries, the store offers custom-made items from local artisans such as a woodworker, quilter, and jewelry maker. Sherrie even offers a custom shopping service for her elderly customers. For more information, email [email protected]. “Mejor servicio” is the Spanish translation of “major service,” as stated in the 4-H pledge. In 2013, 4-H leaders in southwest Kansas launched an initiative to help new families in the region experience the benefits of 4-H, including bilingual club ceremonies and family activities. Businessmen Lee Borck of Innovative Livestock Services, Inc. and Steve Irsik of Royal Farms Dairy, plus regional K-State Research and Extension specialist Debra Bolton, state 4-H Leader Barbara Stone and the Kansas 4-H Foundation supported this effort. Five new clubs have now been formed involving 122 youth within 77 families in Finney, Ford, Gray, and Kearney counties. For more information, see Kansas 4-H Pilot Program for Hispanic Youth and Families video. The 2015 Huck Boyd Leaders of the Year winners were selected by entrepreneurship students in K-State’s College of Business. Each year the Huck Boyd Institute selects its leaders of the year from among those featured on its weekly Kansas Profile radio program and column during the previous 12 months. 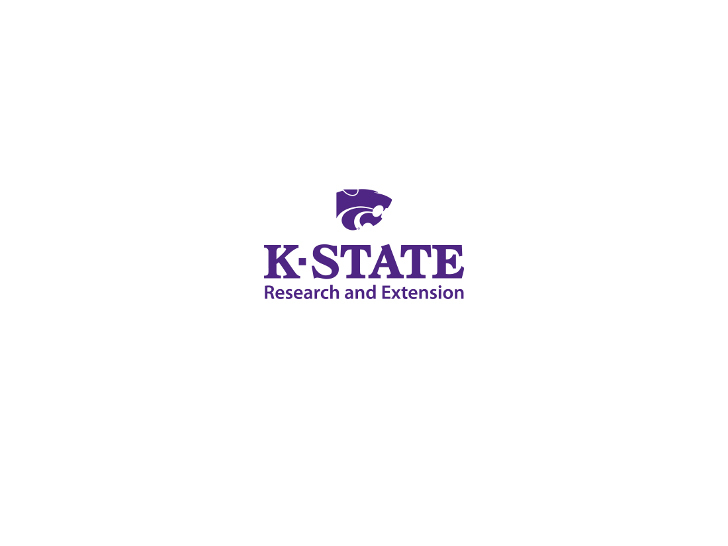 Kansas Profile is distributed by the K-State Radio Network and K-State Research and Extension News Media Services to radio stations and newspapers state-wide.